Today returning home, passing by the infamous Power Nasi Lemak foodstall in Boon Lay. 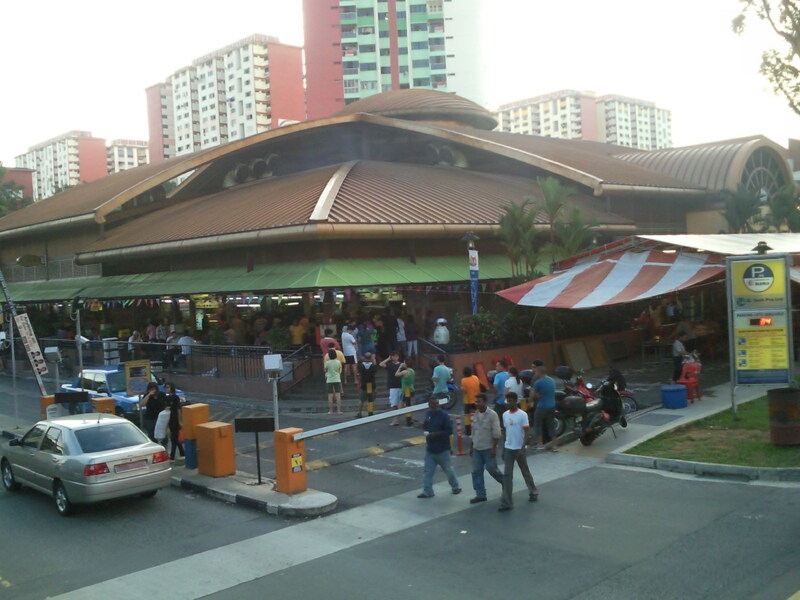 I was surprised to see the queue for their food stretches to the carpark entrance! Imagine yourself queing up at least 30mins for a simple plate of nasi lemak. What's the secret behind the long queue? One of my ex-colleque said the owner put some "magical power" to attract the customers back, while others said its the sambal chilli & fragrant rice cooked with rich coconut milk that keeps them returning back for more. Still, there are others who liked the fried chicken wing, otah that makes it worth their time to queue. I personally liked the fact that most of the food & rice are freshly cooked & what one of my friend termed as 'shiow shiow' (hot in hokkien)! Whatever the reasons behind, its' success can be seen from the daily human queue which start from about 6pm. If you are curious to try out the food, do come on Monday evenings when its probably the shortest queue.